Entries are now open for the 2019 Hardwick X-Stream. View the current leaders in the Club Championships as at 1st September 2018. The details of the 2018-19 Chiltern League Cross Country Fixtures have been released. All of the Results from the 2018 Hardwick X-Stream can be found here. Following a very close vote Headway was announced as the club Charity for 2018 at the AGM. Chiltern League is cross country but not as you remember from school. Congratulations to all who took part in the 2017 Bearbrook 10k. Links to the Race Results and Race Photos can be found by opening this article. Hardwick X-Stream Results & Photos now available! Wendover Hale Efforts - MEET AT WENDOVER CLOCKTOWER NOT RIVETS AT 7PM! 1 minute 250m efforts - Longer recovery! We are a friendly Running Club based in Aylesbury. Our clubhouse is at Rivets Sports & Social Club not far from the town centre. We are a growing club with almost 300 members and are always pleased to welcome new members. 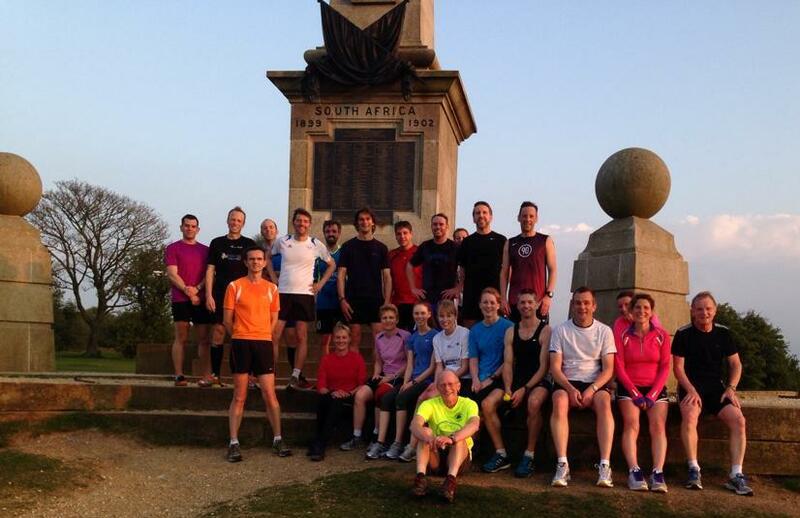 Running groups meet most nights of the week and on Sunday mornings, so there should be something to suit you. We pride ourselves on being open and welcoming to new members of all ages and abilities - from those that have never run before to experienced marathon runners. We run because we love running, want to stay fit and enjoy running with others. A running club is a good place to learn and be motivated about running. We have had complete beginners who have started in our Run-Walk groups who now compete in Ironman events, which they said they'd never dreamed of doing but were inspired by the enthusiasm and encouragement of new friends in the club. As well as keeping fit and running with other runners, there are other benefits:We have several social events each year that give members a chance to relax, chat, compare tips while enjoying a bite to eat and something to drink. The most popular events being the annual presentation evening in January and the fish and chip supper in August after our club 10K handicap - chips never taste better! Also, as a member of a registered club with English Athletics, you will receive a £2 discount from most of the races you enter in the UK. We are also on Face book with a lively discussion board, where members share ideas, organise trips and lifts to races, ask for advice and compare notes on anything running related. If you would like to come and meet us then bring your running kit to one of our Monday Night sessions at Rivets at 7pm. There is no charge as you can run with us for two weeks to see if you like us before making your decision on whether you would like to become a member. Alternatively you can contact us via email if you would like more information, click here for contact details.